HomeDungeons and DragonsMechanics DiscussionMovement in D&D 5e – Maneuver Your Way to Victory! Movement speed in D&D is a mechanic that I feel a lot of us take for granted. In fact, whenever I see it mentioned I find that it’s usually in reference to how flying speed makes aarakocra an overpowered race for player characters (PCs). However, there’s a lot more to movement speed than just flying or walking! In fact, movement as a whole is ridiculously important to have as a creature or PC in 5e combat especially if you’re playing a more tactical game with a battlemap as I do. Positioning can make the difference between victory or death for anyone in combat. Movement is important. Certain types of movement such as flying or burrowing can increase a creature’s survivability in combat making it not only a great tool for positioning but a genuine defensive tool as well. Let’s take a look at how movement works in D&D 5e in general and how creatures with multiple types of movement operate! Regular movement speed in D&D 5e is referred to as “speed”. Speed is considered to be walking, running, skipping, etc. atop the ground. It’s nothing special, but it’s the base value for movement in the game. The average PC has 30 ft. of movement as most races are medium size and therefore have a base of 30 ft. Small races tend to have 25 ft. of movement instead. While it’s not a huge difference it does add up quickly. Creatures, however, have all sorts of different movement speeds. If you’re familiar with my D&D Monster Monday articles I typically make note of when a creature has a higher or lower than average movement speed. This is because I compare their movement speed with the average PC’s rather than other creatures. I figure it like this, a creature only needs to compare itself to their foe and most of the time that’s the party. Interestingly enough I could not find burrowing rules in the PHB or DMG. I do know that burrow speed is a legitimate type of movement in 5e because there are creatures such as badgers that have it. Regardless, it is extremely rare. From my perspective, burrowing allows a creature to go underneath the ground. This is typically slow work so most creatures won’t be particularly quick when they burrow, but doing so can provide a creature with quite a bit of utility in combat for a small amount of their movement for the turn. The bulette is another creature that can burrow! Credit: WotC. A creature could slowly, but efficiently tunnel their way below a cave made of dirt to avoid the enemies that live there. A large enough creature may be able to outright make tunnels for smaller creatures to travel through. Being adept at burrowing means that the creature is great at digging as well. I’d even say that you could use their burrow speed as a way of gauging just how quickly they can dig holes, trenches, and other things. It’s a niche type of movement, but it can come in handy if you’re creative! If a creature is fully submerged in the earth by burrowing I’d rule that they have full cover and therefore cannot be targeted by spells or attacks that require sight. This is obviously a super powerful boon to have considering it significantly hinders the usefulness of ranged attackers and magic users in a fight. It can also be used as a way to almost guarantee a successful escape from your enemies in a pinch. Unless they can also burrow, they’re going to have a tough time chasing you as you dig further underneath the ground. Trenches and holes could also theoretically provide your allies with some cover. If you have time to dig around the battlefield you can give your friends some 1/2 or maybe even 3/4 cover if you have enough time to dig before enemies arrive. You’re basically a natural tool for creating an ambush environment! Scaling a mountain, scurrying up a building, or spelunking are just a few climbing related activities that, while possible for everyone to do, would generally require some form of an athletics check to complete. Not to mention, this would generally be done at 1/2 speed. However, creatures with climb speed have no issue using outcroppings and handholds to traverse these types of verticle terrain. Generally, they can do so faster than a creature without climbing speed, but even if they can’t, they aren’t reliant on succeeding ability checks to do so. Out of all the different types of movement, climb speed is probably the least useful one in combat. It’s certainly possible to design an encounter that takes place on the edge of a cliff, but I’d say that more often than not you’re not going to be fighting while climbing. Perhaps, if anything, you’d be utilizing climb speed to get over a wall to engage the enemy or possibly clamber up a cliff to retreat from your foe. Regardless, there are some situations where even climb speed doesn’t mean that you’d automatically be able to climb a surface. An oil-slicked surface, for example, would probably be a situation where I’d still ask for an athletics check from a creature with climb speed. That being said, maybe in that situation a regular creature couldn’t even attempt that check, or possibly they’d do so at disadvantage. It’s something to keep in mind though! The benefits of flight should be immediately obvious. You can avoid obstacles such as difficult terrain or fly over mountains that would otherwise require you to slowly climb up and over them. There are a lot of dangers that are nullified by a creature that can simply fly above them. Because you’re able to fly over these sorts of obstacles, you are generally able to travel in a more direct path than a creature that relies on walking. More often than not you’re going to be able to reach your destination quicker and safer! Fret not! You don’t have to have wings to have flying speed! Credit: WotC. Flying speed is one of the two movement types that directly changes-up how the game is played from its very existence. Typically when we visualize combat we look at the battlefield from a 2-D perspective. A creature or PC with flying speed can now maneuver throughout the battlefield in 3-D. Flying speed brings verticality with it. You now have to consider how far above or below your target is from you. A creature with flight also has the opportunity to soar out of range of melee attacks. Depending on how fast they are, they may even be able to get out of range of a lot of spells and ranged weapon attacks as well. Regardless, negating even one type of attack is a huge bonus to a creature’s survivability. Even more so when a creature such as a battleforce angel has the flyby trait which allows them to fly in and out of melee range of creatures without provoking opportunity attacks. Some creatures with flying speed such as a beholder, have the ability to hover. This is a special ability and will be clearly labeled on a creature’s statblock. It’s an extremely solid defensive ability for creatures with flying speed. The rules on pg 191 of the PHB state that if a creature is knocked prone, has its speed reduced to 0, or is somehow prevented from being able to move the creature will begin to fall. So not only does this ruin the creature’s positioning, but it can also deal damage to them if they hit the ground from 10ft. or higher. A creature that can hover does not fall in this circumstance. Instead, they simply stay where they are and are unable to move until whatever effect preventing their movement is removed from them. Swimming is sort of like flying in that it forces the players and DM to look at the game as a 3-D environment. Verticality is introduced to the game, but only in a limited area. There needs to be deep enough liquid to submerge yourself in to get into that aspect of the game. Having a swim speed gives creatures the ability to traverse water and similar liquids without needing to roll athletics checks to do so. Creatures without a swim speed will have to roll an athletics check, but they’ll also travel at 1/2 speed when swimming. This can be super useful for traversing rushing rapids or trying to cross a small body of water such as a stream. I’ve written an entire article on underwater combat. I encourage you to check that out! However, I’ll provide some cliff notes here. Essentially, unless a creature has a swim speed they’ll move at 1/2 speed due to the water being considered difficult terrain. Creatures without swim speed will also have a very limited selection of melee weapons that they can attack normally with. Using a different weapon without having swim speed means that you attack at disadvantage. The other aspects of underwater combat still apply to creatures with a swim speed. For instance, they’ll still gain fire resistance and they’ll still attack at disadvantage when using a ranged weapon other than a crossbow or javelin within their normal range. Some creatures or PCs may have multiple types of movement speed. The typical combination is regular movement speed in addition to one other speed. However, there are instances where a creature may have 3+ movement speeds. This can make for a seriously versatile creature to design an encounter for. I’ll absolutely own up to the fact that I only recently learned I was understanding this mechanic incorrectly. I’ve since fixed my incorrect info on this in the related articles on the site. But that leads into my point that it’s not difficult to confuse or misunderstand the mechanic. Page 190 of the PHB states that you can switch back between your different speeds throughout your turn. However, when you do so, you need to subtract the distance you’ve already traveled from the new speed that you’re switching to. If you have run out of speed (0 or less), you cannot use the new speed during your current turn. If you still had a few ft. left in your original speed you could use that provided that you want to. That’s a bit confusing, isn’t it? Let’s take a look at the example from the PHB. I feel that the example actually explains the mechanics better than the actual explanation. You could only walk 10 ft. because you’ve already flown 20 ft. on your turn. Since 10 + 20 = 30 ft. you can no longer use your base speed for the rest of your turn. You will instead be forced to use your flying speed or you’ll have to sit tight until your next turn rolls around if you wish to walk. 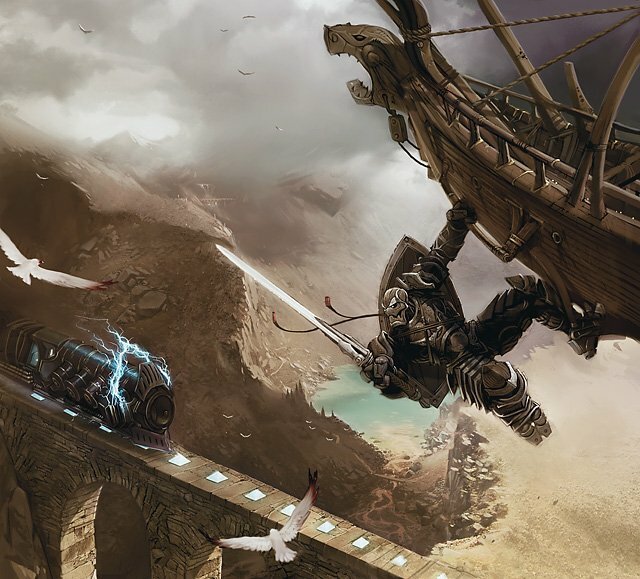 Movement is a key part of combat in D&D 5e. Being able to have enough movement to properly position yourself will absolutely determine how successful you are in combat. A slow creature is a dead creature unless they have a few tricks up their sleeves! There are also a few different types of movement in 5e. Some of these like flying and swimming can make significant changes to how a combat encounter will play out. 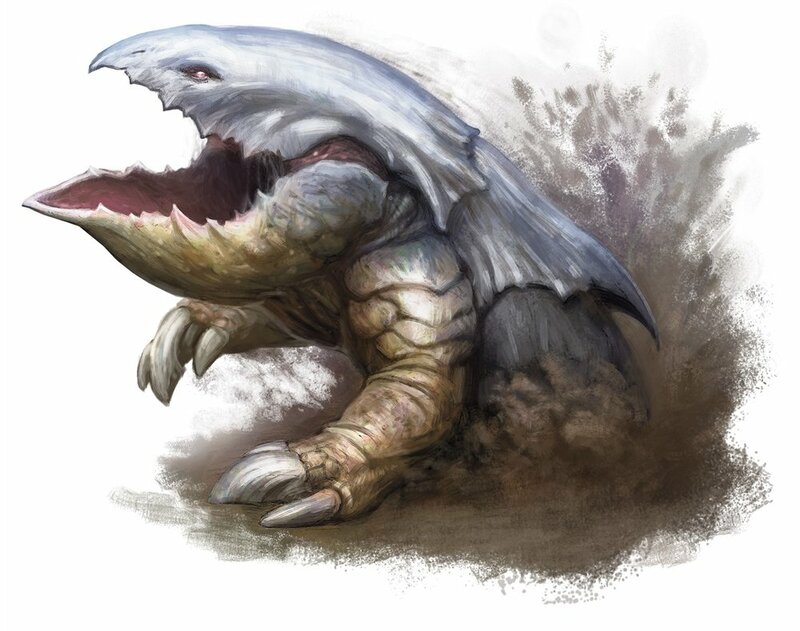 Burrowing can also make a big difference in combat, though it doesn’t have as big of a playstyle impact for everyone involved in the encounter. Having a different type of movement speed is one of the largest utility benefits a creature or PC can have in my opinion. Especially if this movement speed is flying or swimming. You can directly avoid a lot of dangerous obstacles and give yourself an edge in a situation where your allys might not have one.